Over the past month, we’ve posted several interesting articles. You’ve read our epic in-depth review of the Canon PowerShot G1X review, you’ve seen our comparison article between the Canon G1X versus the Canon EOS 7D… now check out this photo gallery that contains photos from both the Canon PowerShot G1X and Canon EOS 7D! Here’s the Canon PowerShot SX260 photo gallery; the 2012 Canon SX260 is a 12 megapixel camera with 20X optical zoom, a 3 inch LCD, full manual controls, GPS and more. Learn more about the camera in our in-depth Canon PowerShot SX260 review! Here’s the Canon PowerShot G1X prosumer digital camera which has a larger than average sensor and has image quality that is competitive with digital SLR models. There are also RAW image files included in this gallery for your personal use. Read up about the camera in our in-depth Canon PowerShot G1X review! 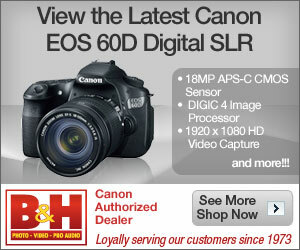 We’ve already seen the comparison between the image quality of the Canon G1X versus the Canon EOS 7D. But another noteworthy area of the Canon PowerShot G1X is its movie mode. The camera has a 1080p Full HD movie mode which allows you to continuously autofocus and use optical zoom while recording. We grabbed the Canon G1X along with the Canon EOS 7D yet again, and put them side-by-side in a video mode shootout… check out the results after the break. When Canon announced the PowerShot G1X recently, they reworked the camera on the inside to do something that they have never done before: Put a big, BIG image sensor into a fixed lens G-series camera. This lets the Canon PowerShot G1X deliver digital SLR and ILC rivaling image quality (and ISO up to 12800!) while remaining a lot more compact and nearer to the size of a super-zoom digital camera. By popular demand we’re putting the Canon PowerShot G1X head-to-head against their own EOS 7D digital SLR today… read on to check out this interesting comparison of two hot cameras of different classes. Apple has just announced the new iPad with a 5 megapixel backlit-sensor autofocus camera on the back. The new iPad has the same screen size as the previous two iPads, 9.7 inches, but packs a significantly higher resolution of 2048 x 1536 pixels. It also has Apple’s new A5X processor and quad core graphics chip. The iPad will be available next week on March 16 at a starting price of $499 for the basic 16 GB WiFi iPad, all the way up to $829 for the 64 GB variant with 4G connectivity.